Shoed fin closed with the full foot pocket in3 materials and show in thermoplastic rubber. Optimized geometries to obtain the best effort/performance ratio. Made in 10 sizes with smaller sizes also available in half-sizes. Intex Fins available for adult 8+. - Fins – Designed for more comfort and easy adjustable heel strap for snug fit. 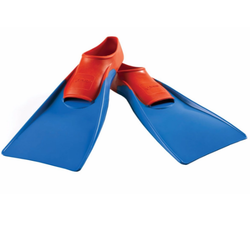 Banking on the skills of our qualified team of professionals, we are instrumental in offering supreme quality range of Swimming Fins (Swimming Floating Fins). 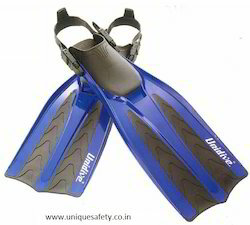 We are apart from other retailers of fins by providing an exclusive range of swim fins with the customization facility.